Currently, Marvel is one of the most popular Entertainment companies in every genre. The most famous is, of course, there are movies that have been released, waiting for hundreds of millions of fans around the world. Besides, it also has a long history of comics with dozens of issues with profound content built elaborately. In the end, its game market was equally active with many products spanning all categories. Usually, it will appear in the action or tactical game genre. 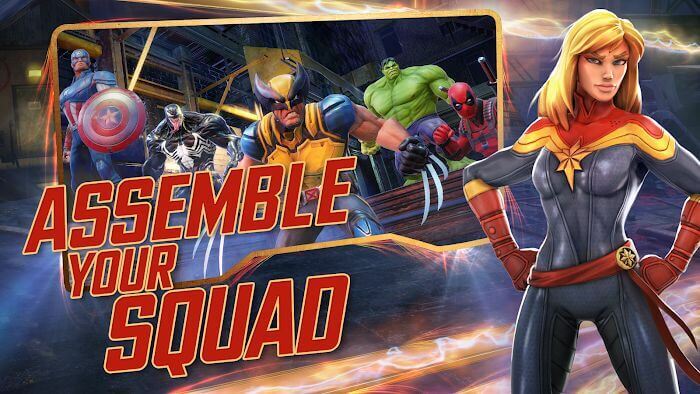 MARVEL Strike Force is a hugely successful product of publisher FoxNext Games. 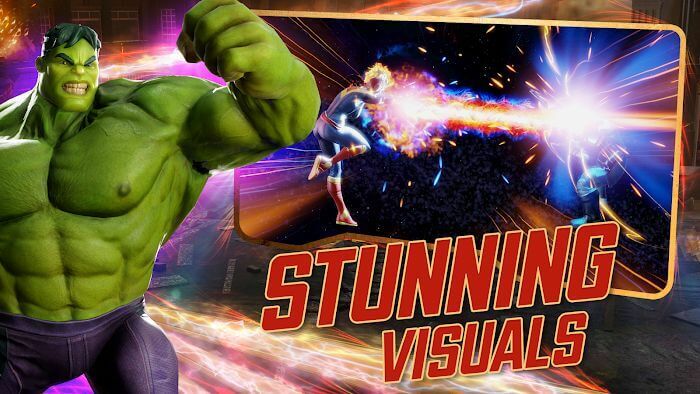 With over 10 million downloads on Google Play, it can be considered as one of the hot picks on Marvel Heroes theme. 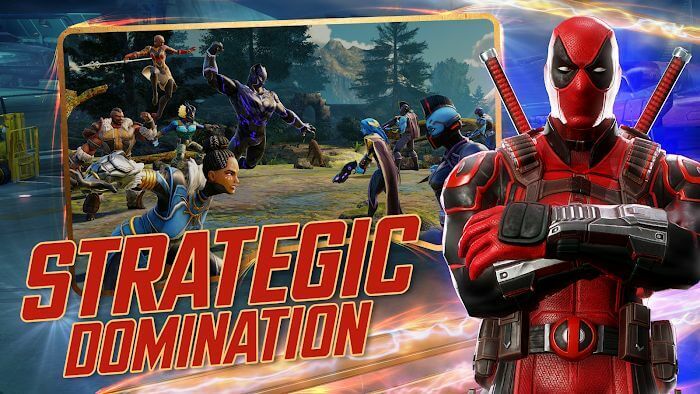 Simply put, it is an action role-playing game with agile gameplay and uses a lot of branded characters. Besides, the game uses a beautiful and eye-catching graphics, so it is supported by many people. When participating in the game, players will have to be ready to fight the most powerful opponents. Your enemies are so terrible that no one can defeat them alone. Even the heroes who work together cannot defeat this threat. All people with supernatural powers on this earth must participate in the war to save their own world. It means that even the superhuman beings must combine with superheroes to hope to save the world. 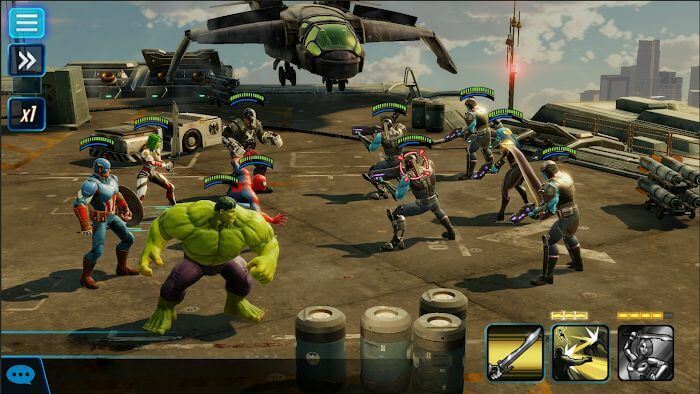 Familiar characters Spider-Man, Doctor Strange, Groot, Rocket Raccoon, Loki, Venom, Elektra, Captain America, and Iron Man are all present in the game for players to freely choose and fight with them. This will be a photo action game with a tactical element that deeply affects the gameplay. One will have to assemble a new squad that can afford to fight strong enemies. Don’t be shy when you have to team up with superhuman beings; they must also work hard to defeat the common enemy. In fact, the more powerful the enemy’s forces become, the later. They will be equipped with terrible abilities and more numbers. Therefore, players will have to find a way to upgrade their lineup and exploit their full potential. In the classic 5v5 battles, the strategy is the key to helping you crush the enemy. After you have a suitable tactic, the characters have given certain directions in operation during a battle. But the role of players playing on those characters is still significant. They possess the same powerful skills as in comics. And when fighting, players will play the role of combining those skills in the most seamless way to create damage-maximizing combos. They are minimized so that just touching the screen can unleash the skill, so players need only determine how they will have to use them. The Alliance War shelf will be the new mode updated immediately in this patch. 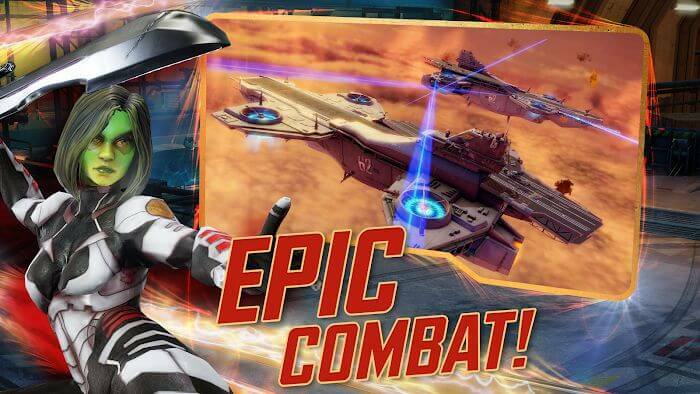 Players will have to build and defend Alliance Helicarrier from it to attack the enemy. Besides, M’Baku and Okoye are two newly updated characters. They came from Wakanda and definitely had a lot of fans.